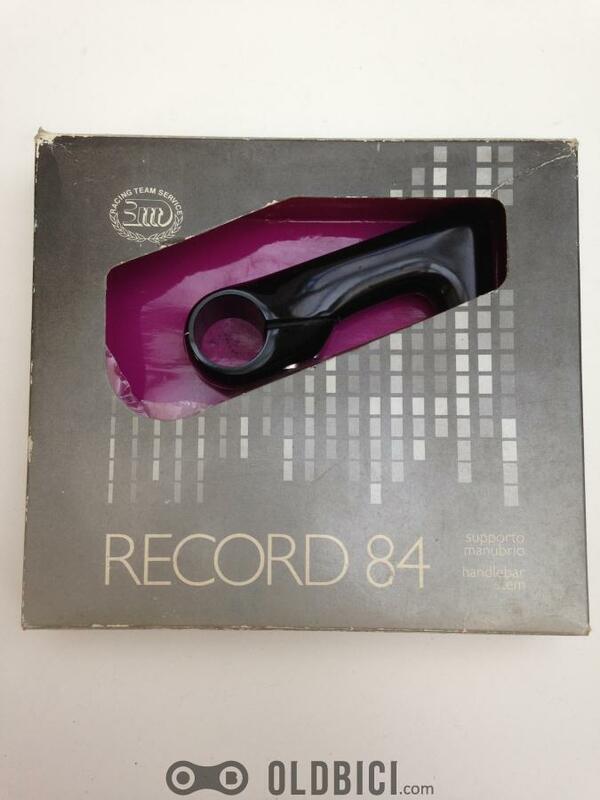 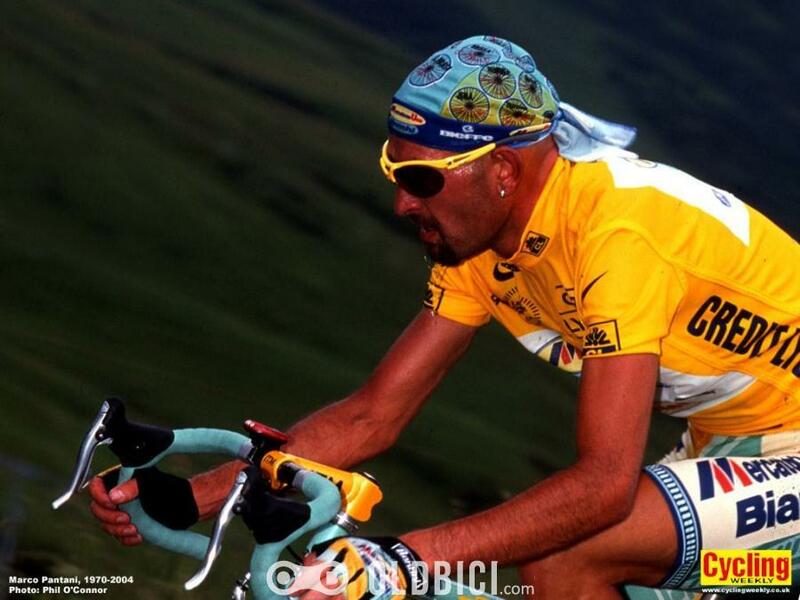 The 90s were a heady decade. 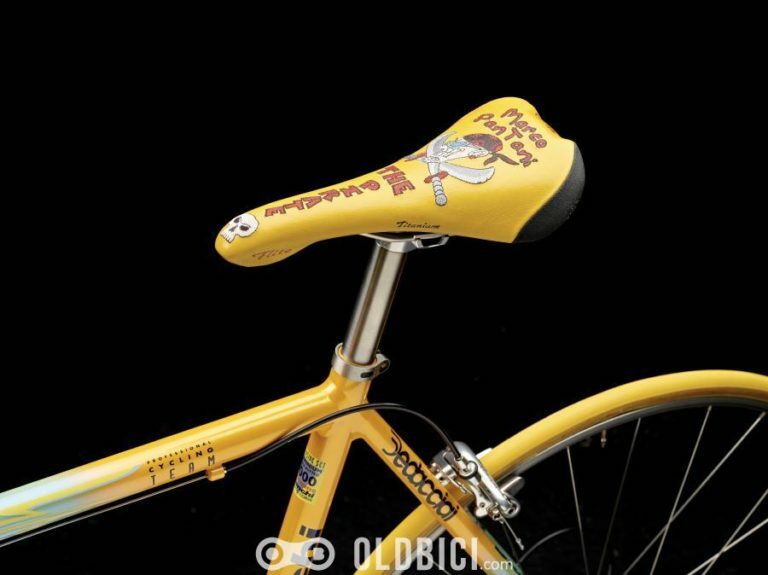 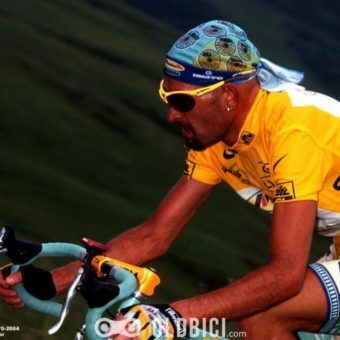 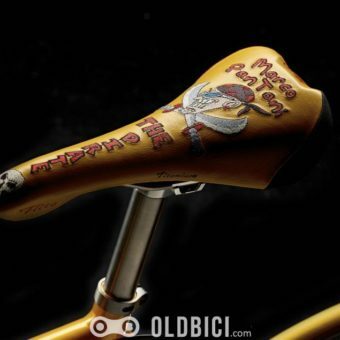 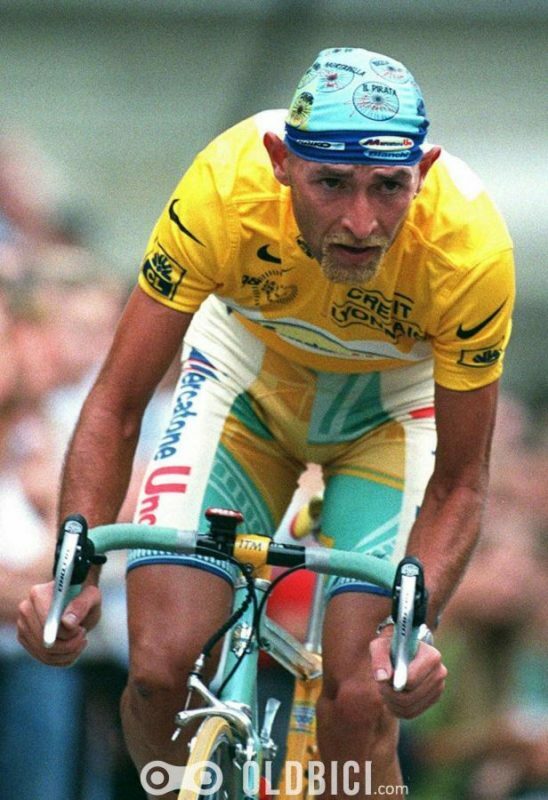 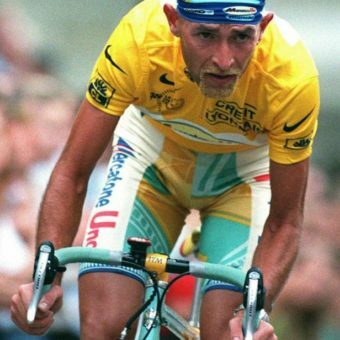 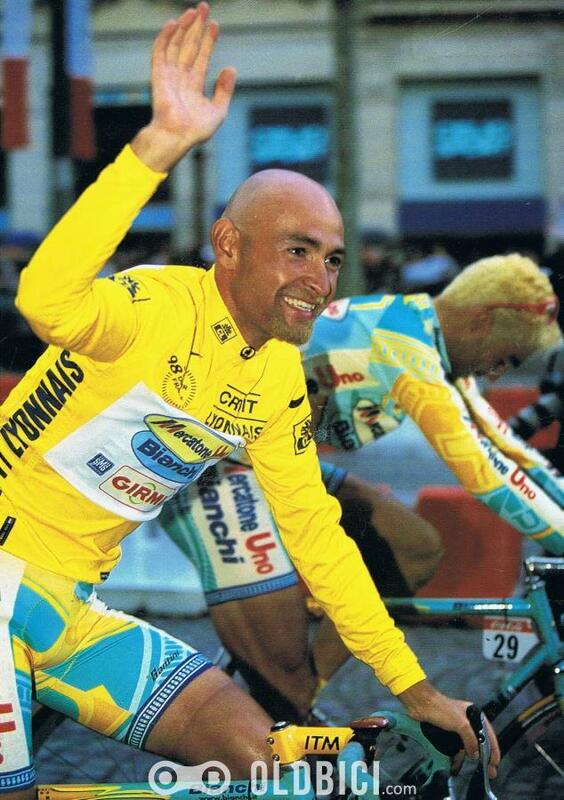 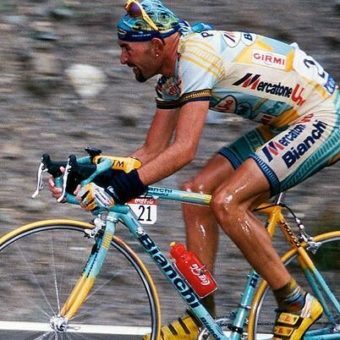 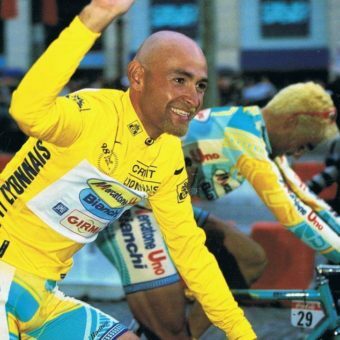 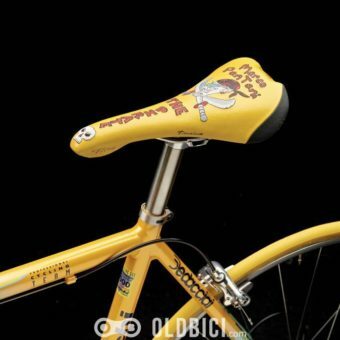 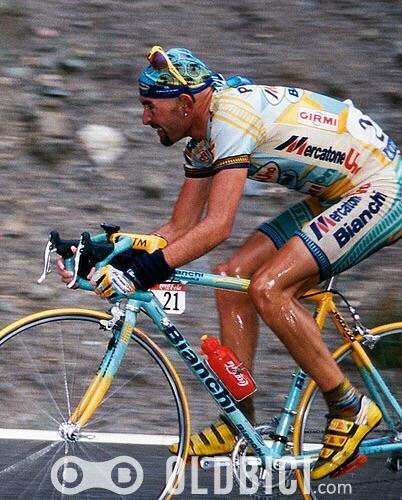 In terms of pro cycling, it was dominated by the legend of Marco Pantani – “il PIRATA”: the rise and disastrous fall of one of the sport’s greatest climbers. 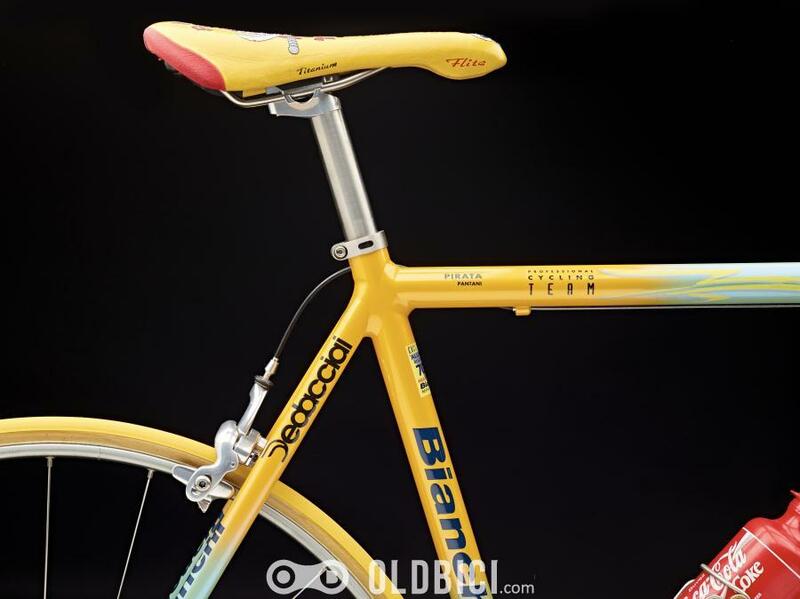 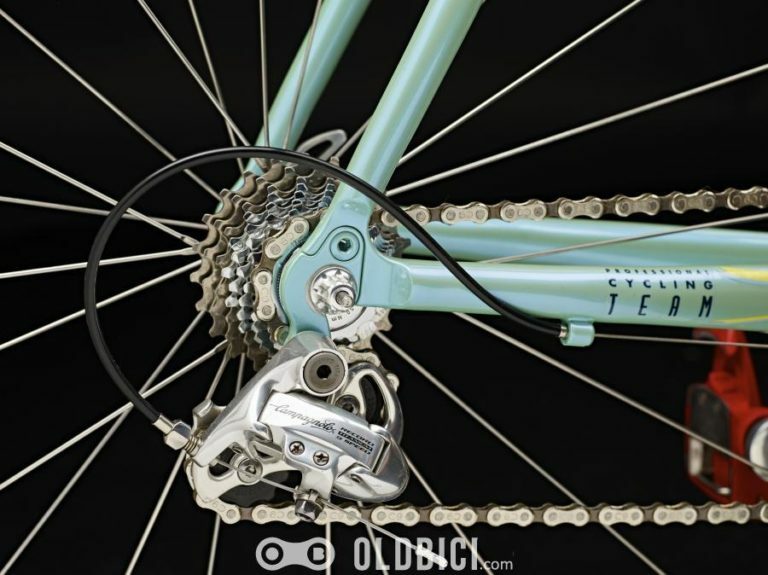 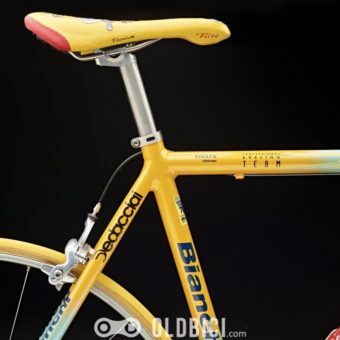 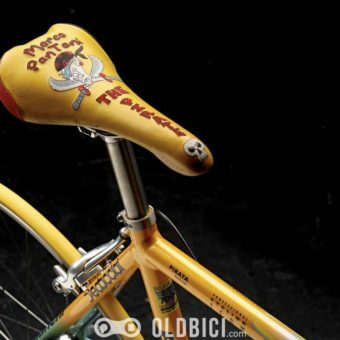 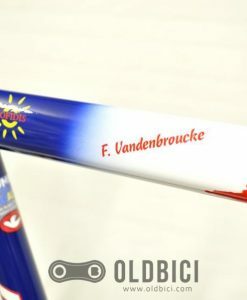 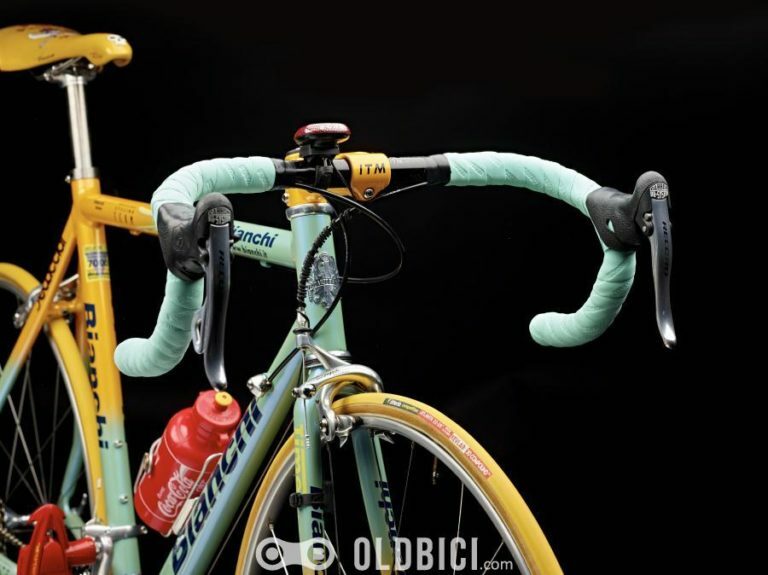 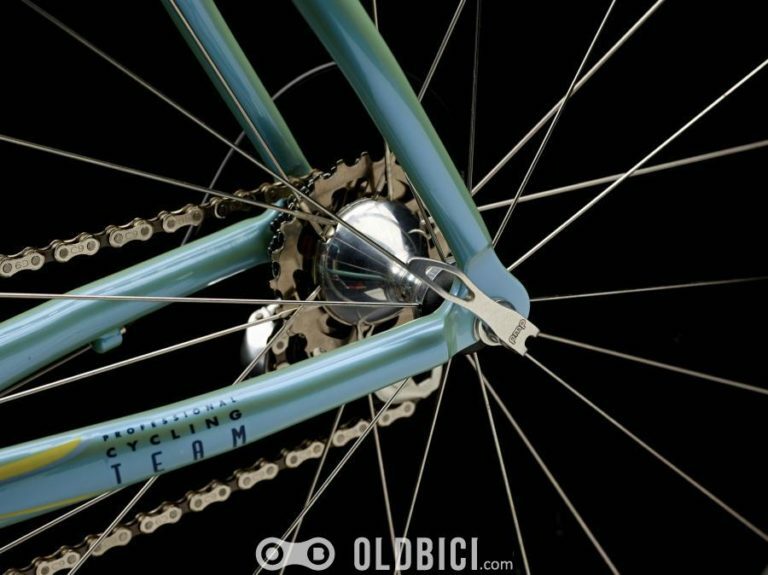 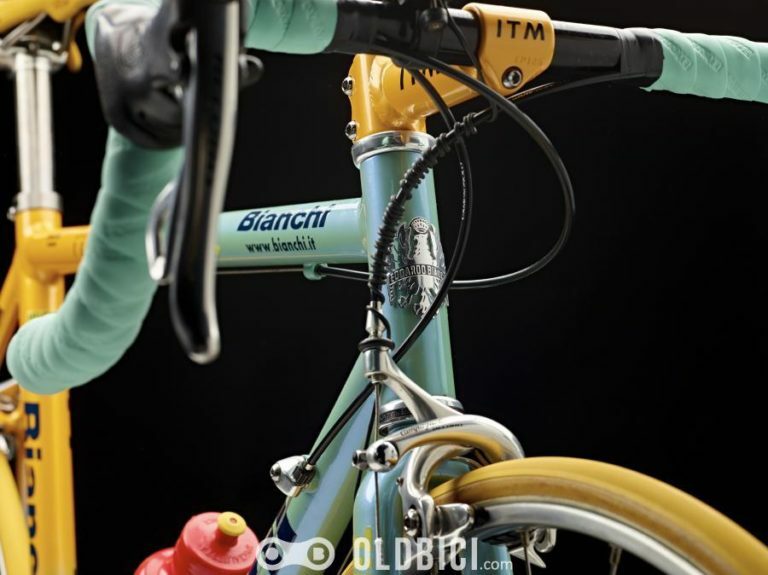 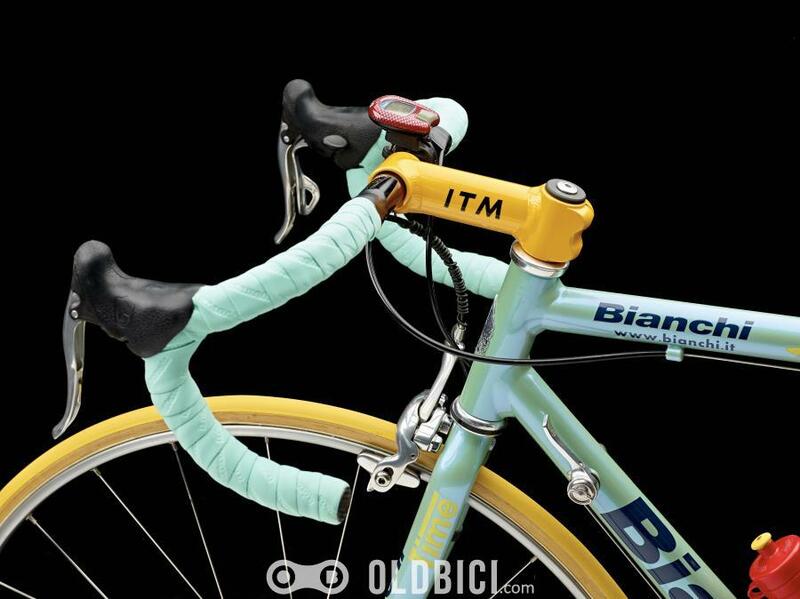 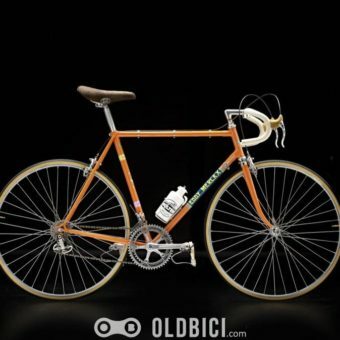 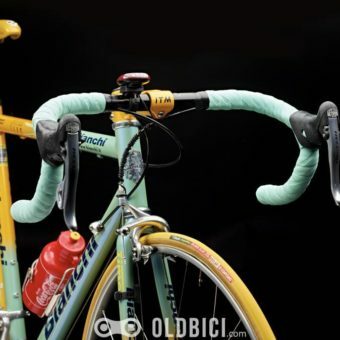 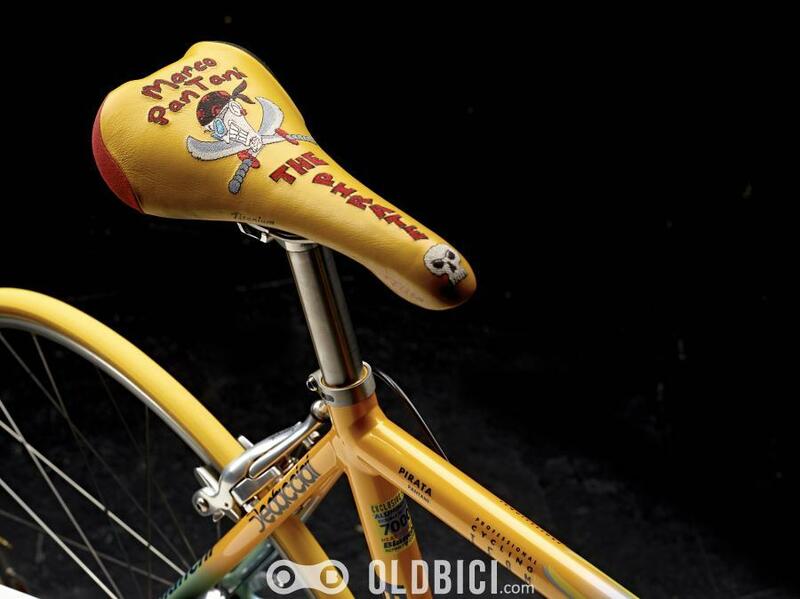 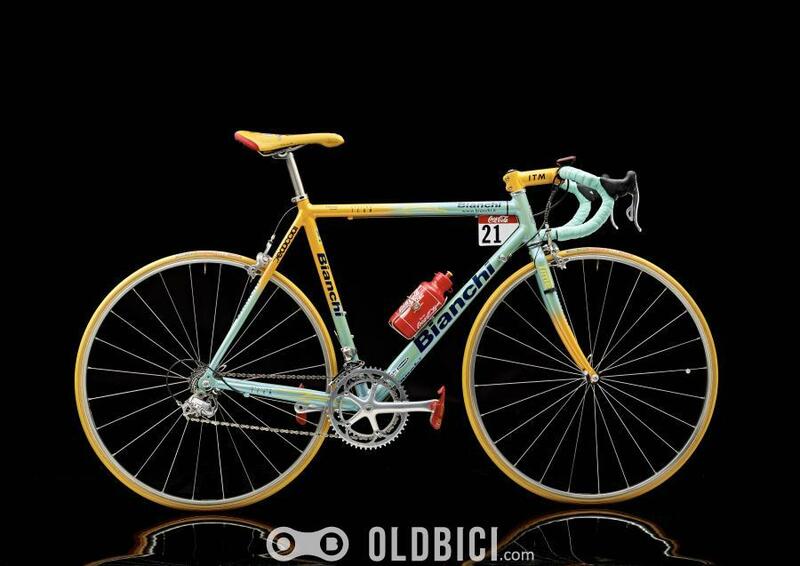 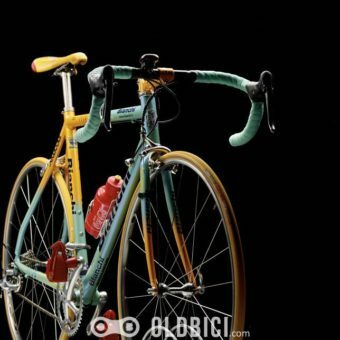 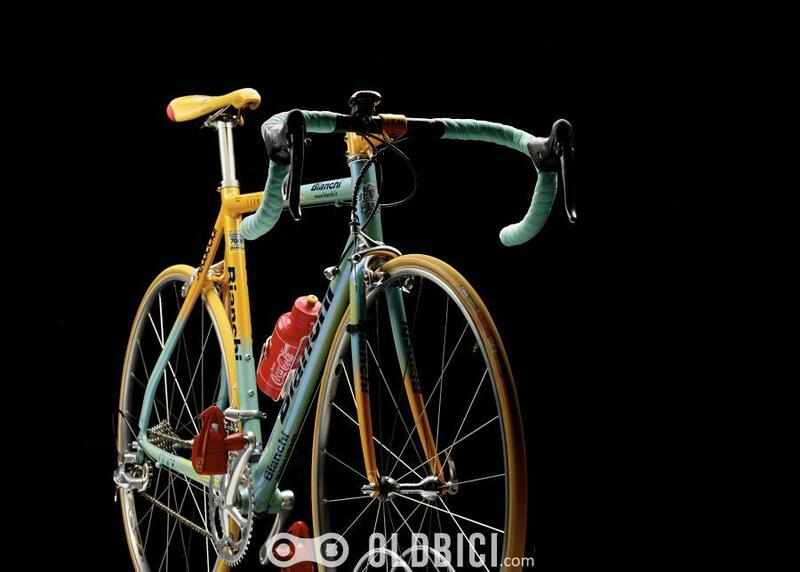 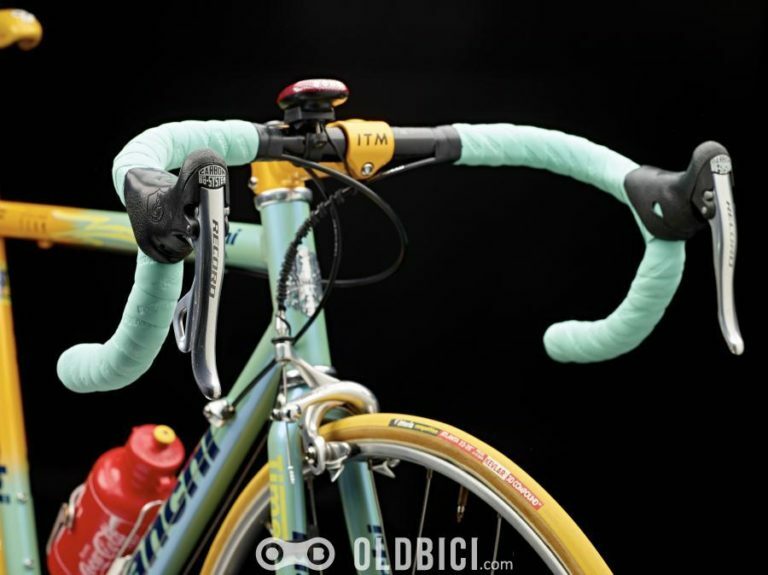 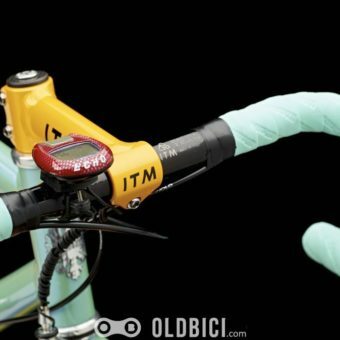 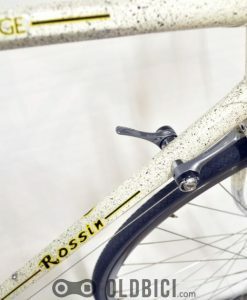 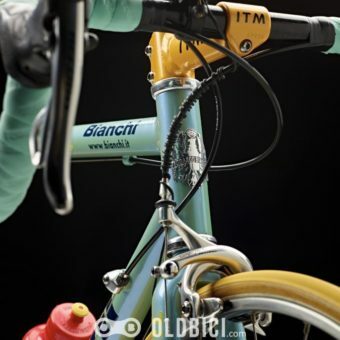 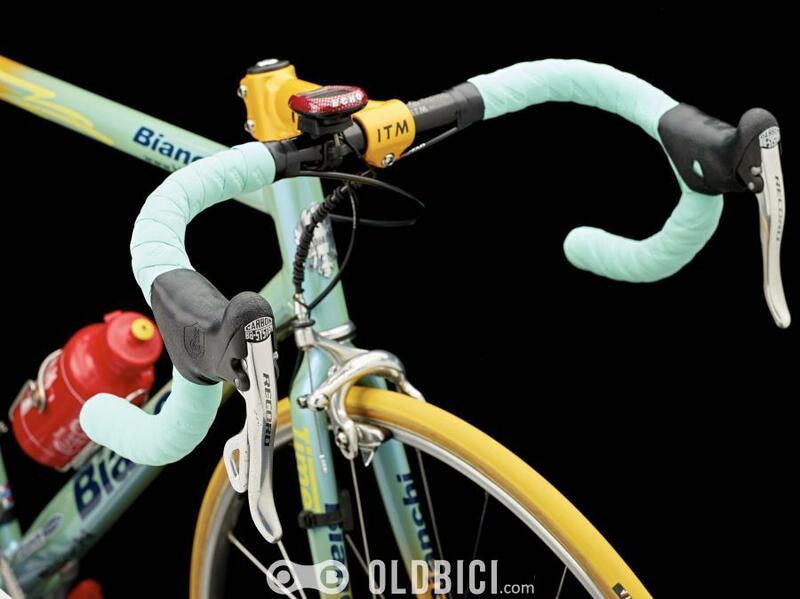 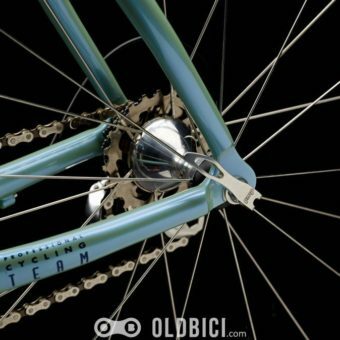 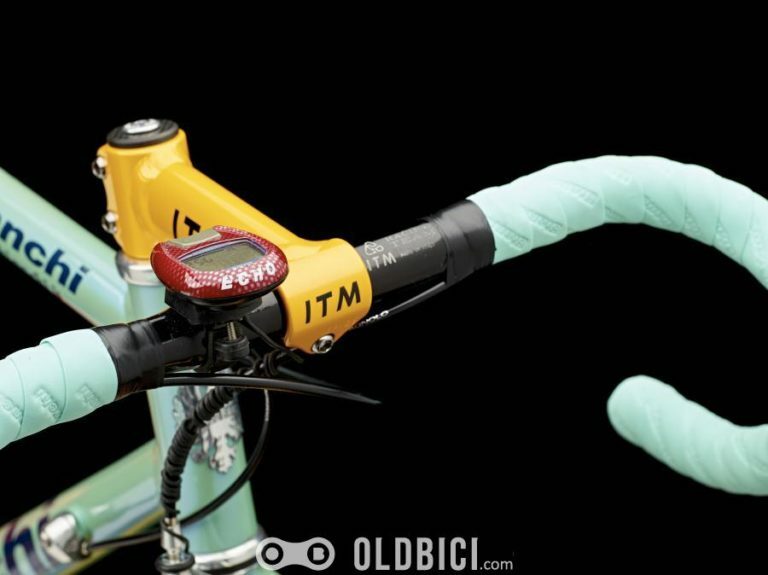 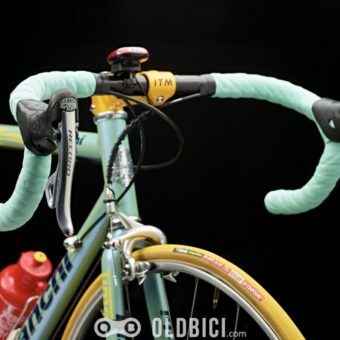 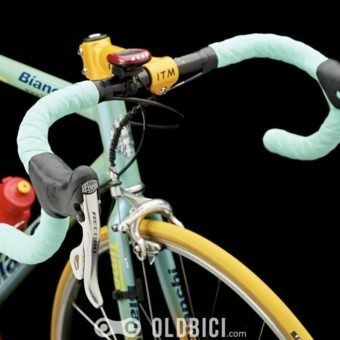 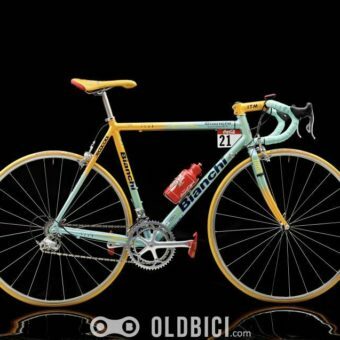 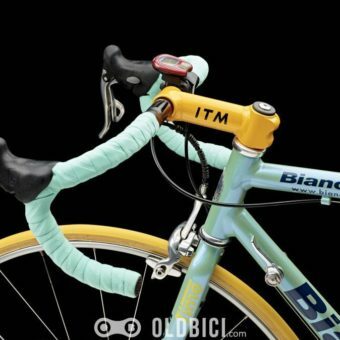 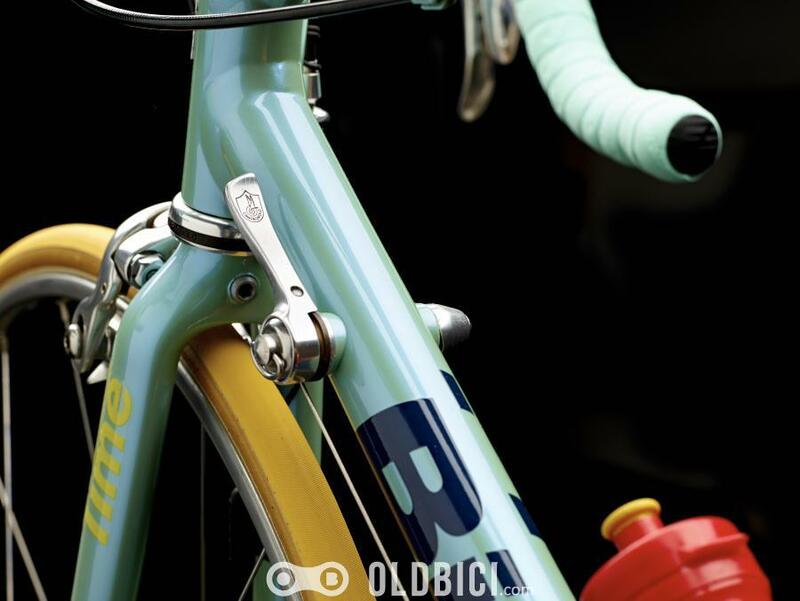 His team, Mercatone Uno and their Bianchi bikes, are just as iconic. 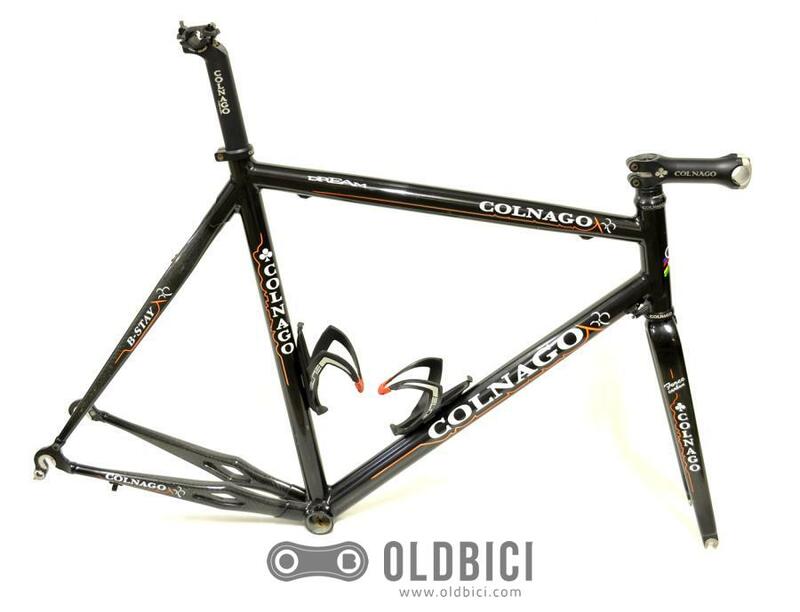 Condition: Frame and fork RESTORED. 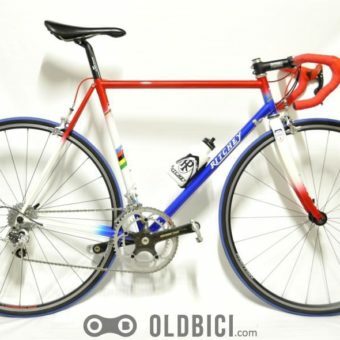 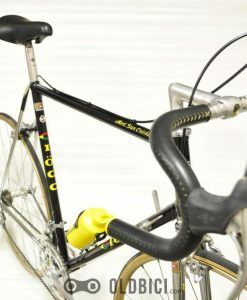 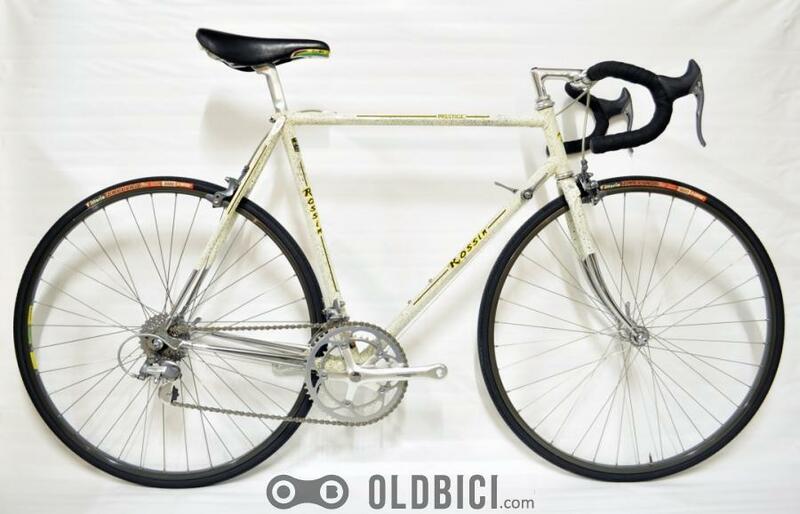 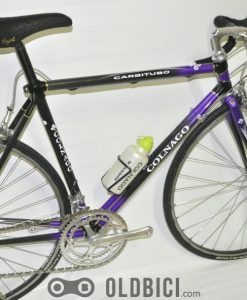 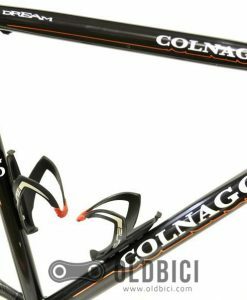 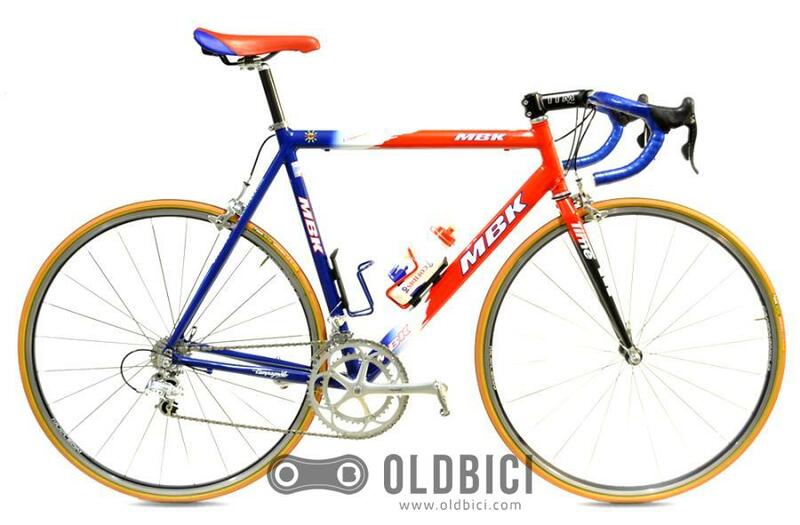 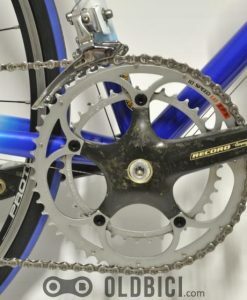 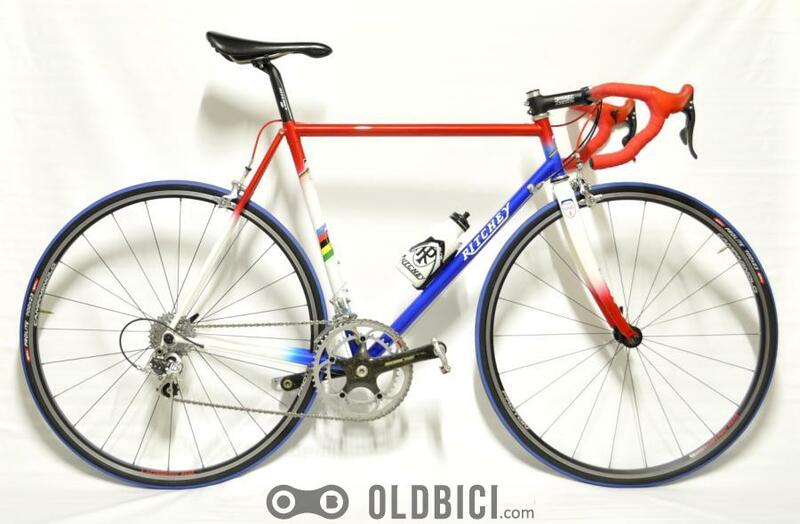 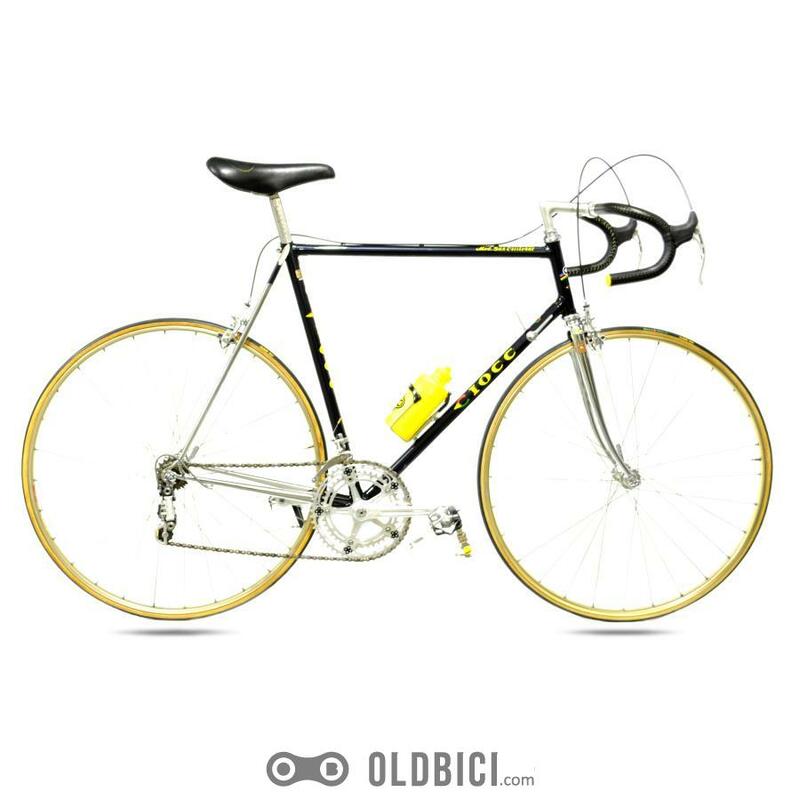 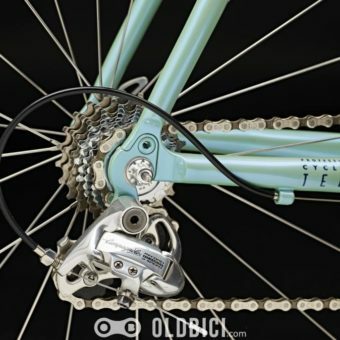 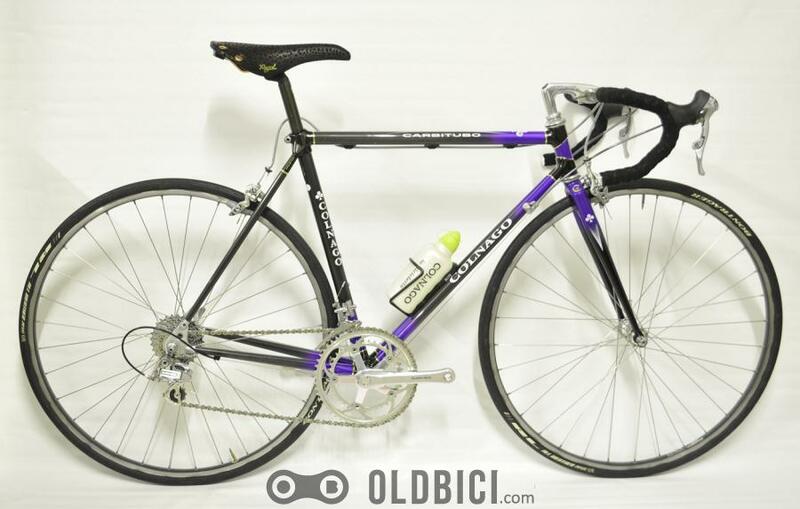 Groupset and components used, few parts are NIB and NOS. 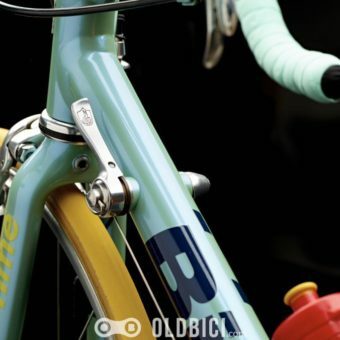 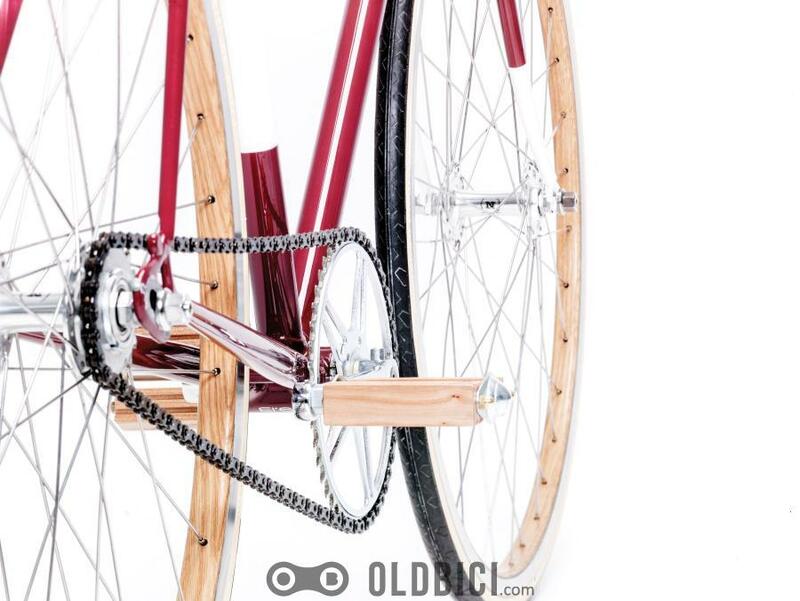 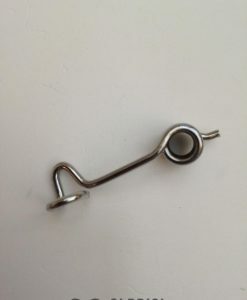 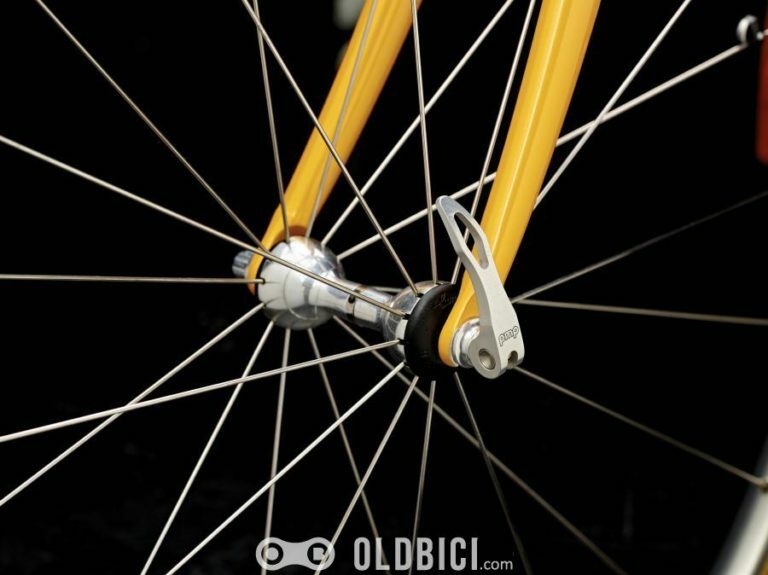 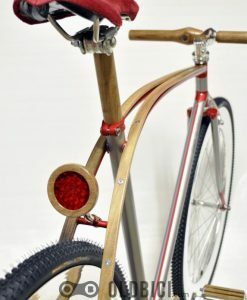 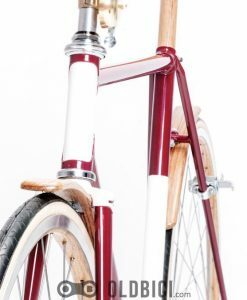 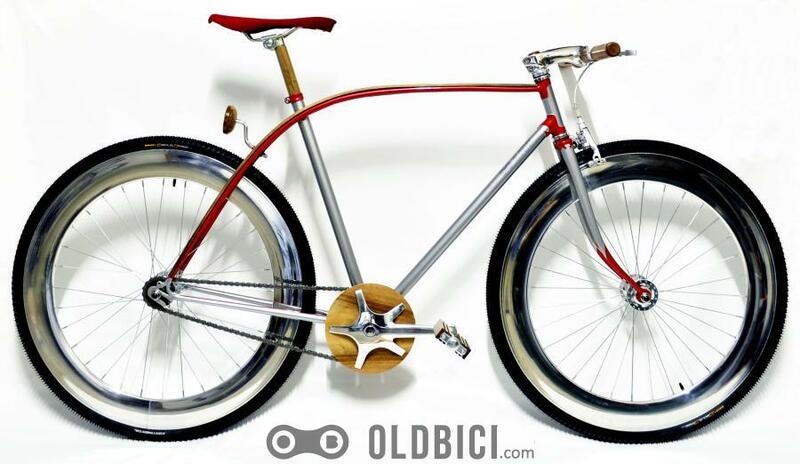 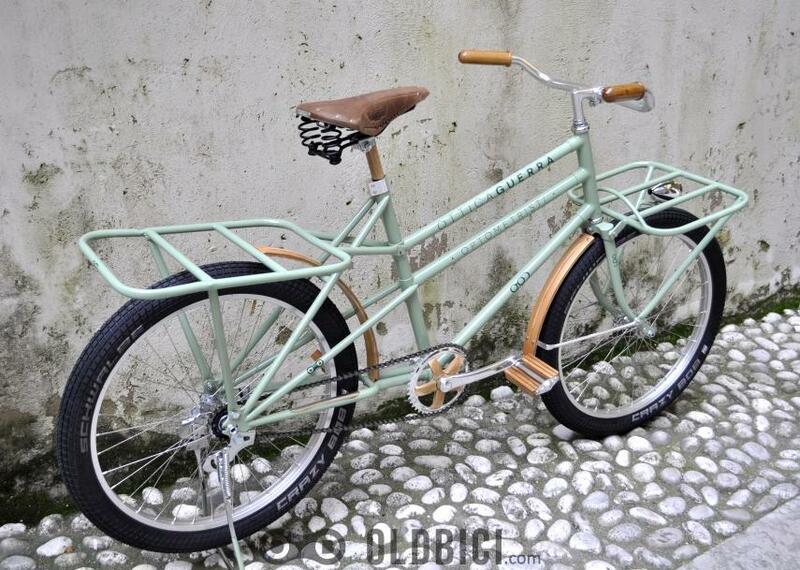 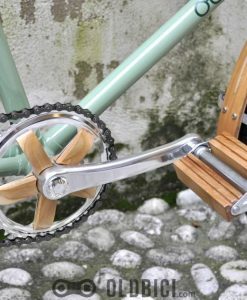 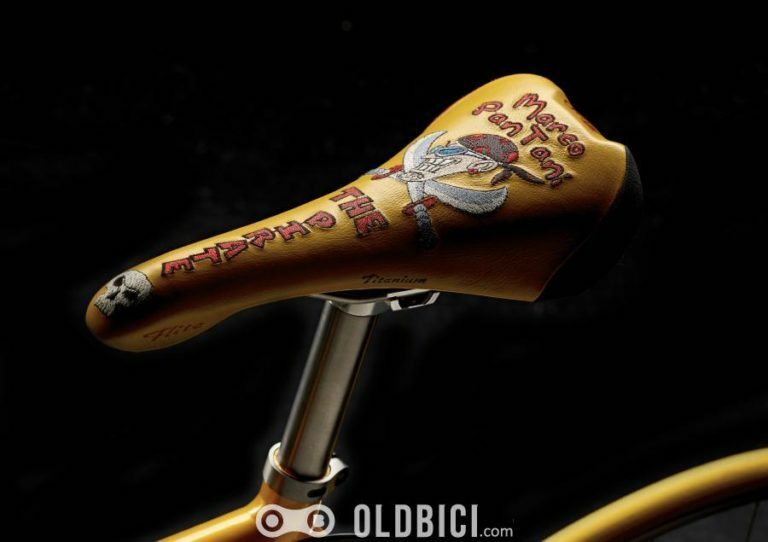 Bicycle has no dents, no cracks or bends. 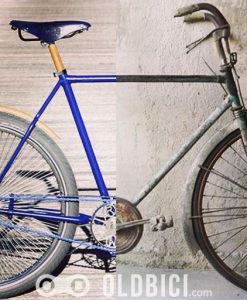 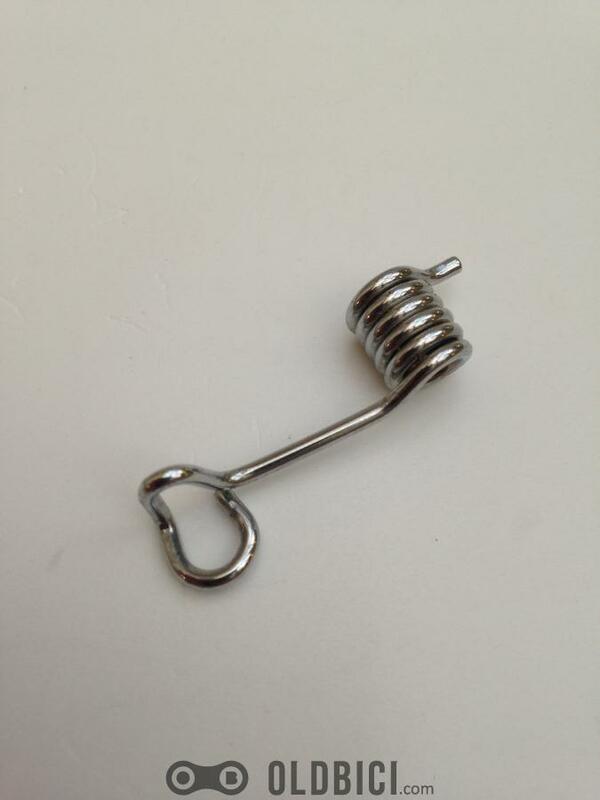 All parts work fine. 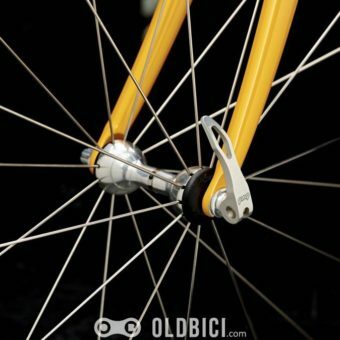 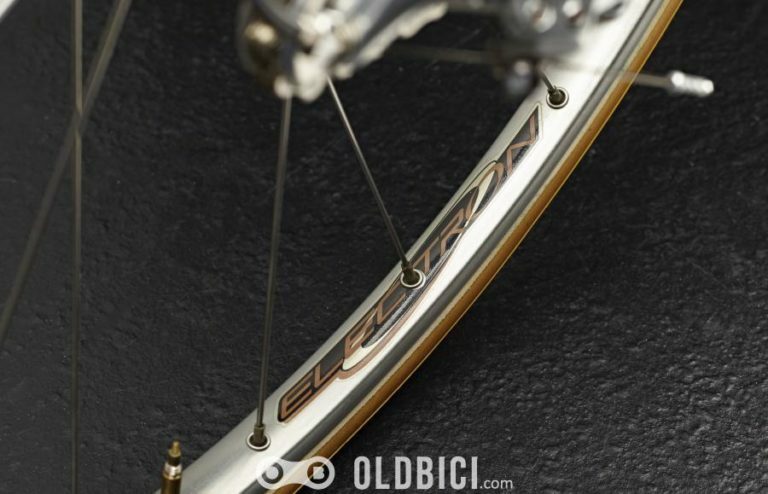 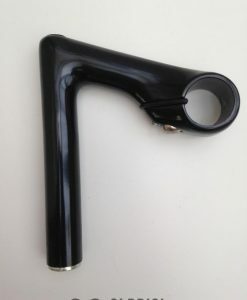 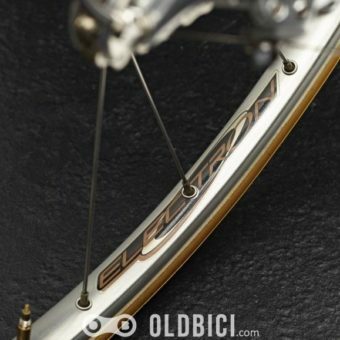 Tires: Vittoria Atlanta tubular, 22-28?